Services for Joyce will be Saturday, March 16, 2019 at 2 PM at First Lutheran Church in Hunter. 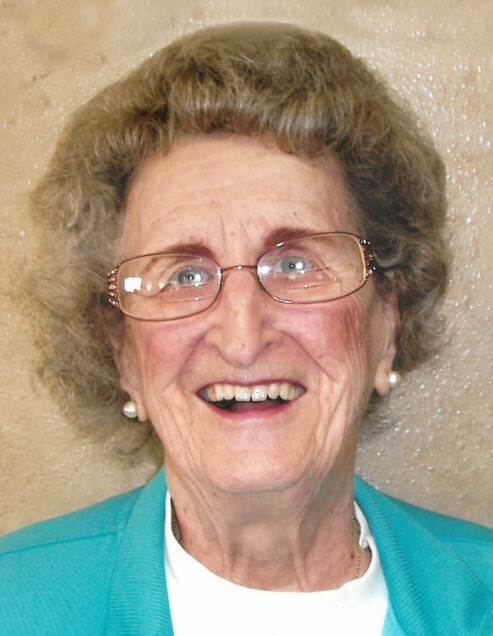 Joyce Yvonne Jorgensen, 95, passed peacefully into the Glory of God on Friday, February 1, 2019 at Sheyenne Crossings in West Fargo. 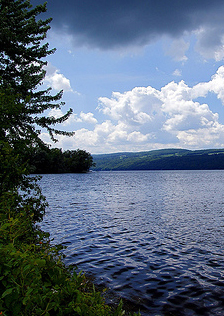 On October 18, 1923, Joyce, the second of four children, (Loraine, Delores and Morrell) was born in the Dows Township home of George and Gunelia (Bratholt) Dickson. Her lifelong relationship with her Lord, Jesus began in Elm River Church, Galesburg, ND where she was baptized, confirmed and married. She was united in marriage with John C. Jorgensen on November 22, 1947. They settled into a good life together in Hunter ND where they lovingly raised two sons, David and Kurt. Joyce and John were active members in the community of Hunter. She and John loved to host a variety of get togethers, large and small, formal an informal. Everyone was welcome into the Jorgensen home. Joyce had many loves in her life. First was her devotion to her Lord whom she served by taking a very active role in the fabric of First Lutheran Church of Hunter. She taught Sunday school, served on Church Council, Ladies Aid and could always be counted on to speak beautifully at funerals and other church events. Her second love was her husband, John. They enjoyed getting together with friends and family to play cards, spending time at the lake and in their later years, travelling the world. Although they visited many exotic and exciting places with Delores and Ronny Berkvam; they always said there is no place like home. Her sons David and Kurt and their families were her third love. She was proud of her boys and loved them deeply. When they married, she welcomed her daughter-in laws into her life with open arms and expanded that love and devotion to her grandchildren. Her fourth love was education. Joyce taught science and Home Economics in Ada MN, Portland, Arthur and Galesburg ND where she formed many lifelong friendships with students and other teachers. Joyce touched many lives with her zest for life. Joyce was preceded in death by her husband John, son David, her parents, siblings and many friends. She is survived by her son Kurt, his daughter Jenna (Scott) Kyser and their daughters, Audrey and Emma, his son Johnny and wife Taylor and their unborn child; her daughter in law Patricia, her children; Scott (Sarah) and their sons Finn and Graham; Tia (Bobby) Rodwell and their son Joseph; Cathy (Joshua) Herbold and their children Mya and Benjamin. Funeral service will be 2:00 pm on Friday March 15, 2019 in First Lutheran Church of Hunter. In lieu of flowers, the family suggest donations be made to First Lutheran Church in Hunter.